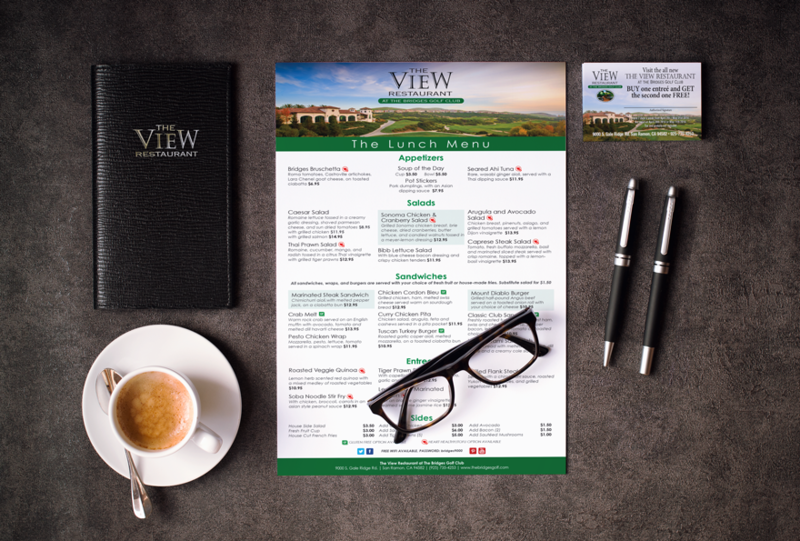 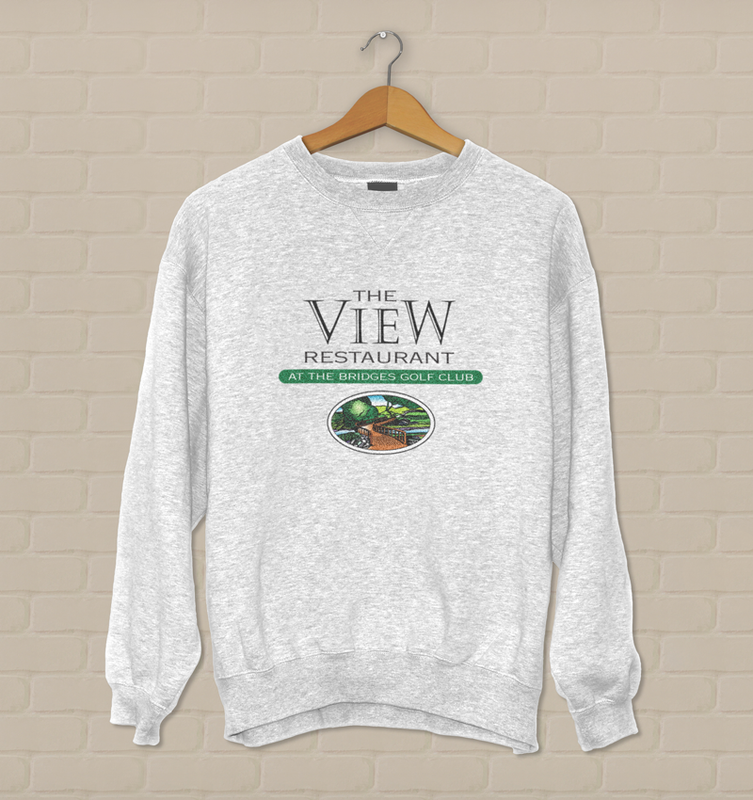 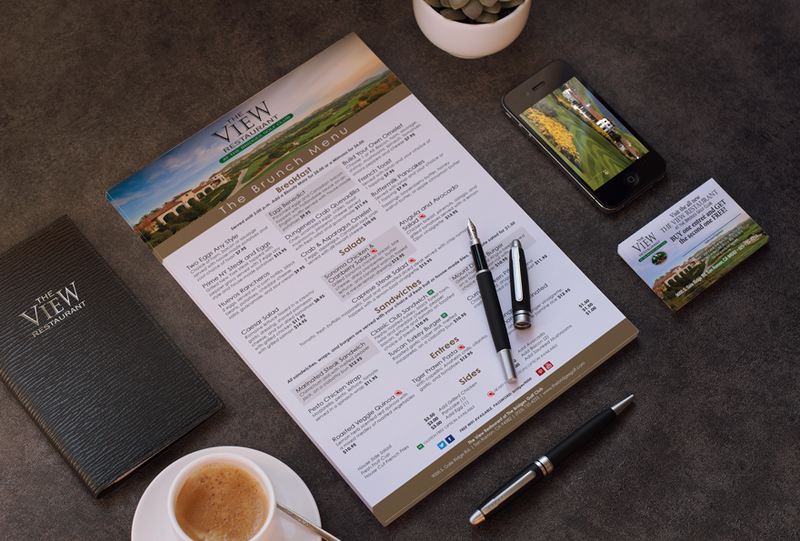 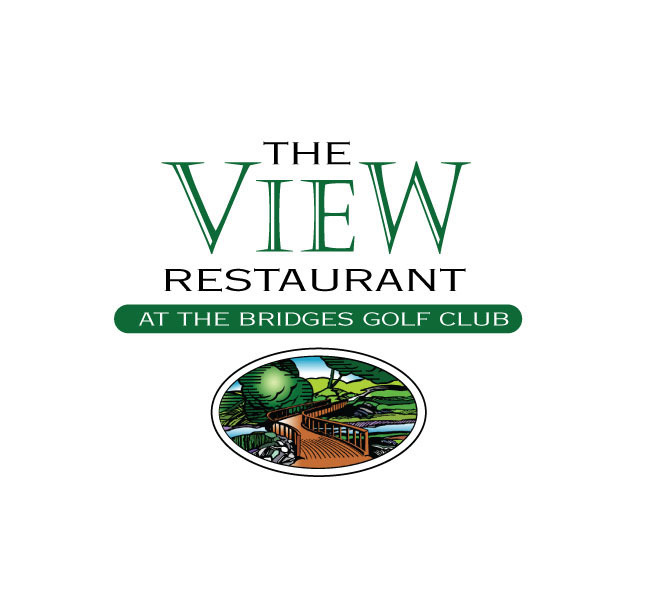 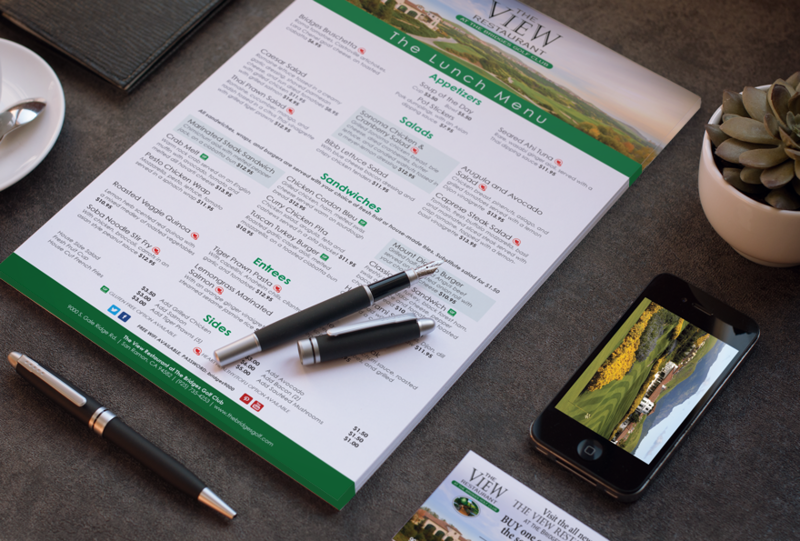 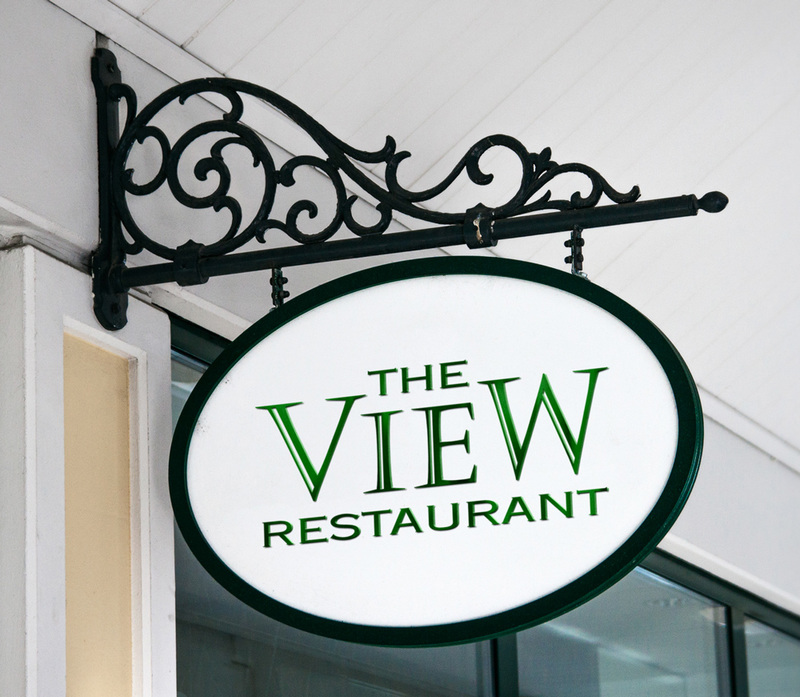 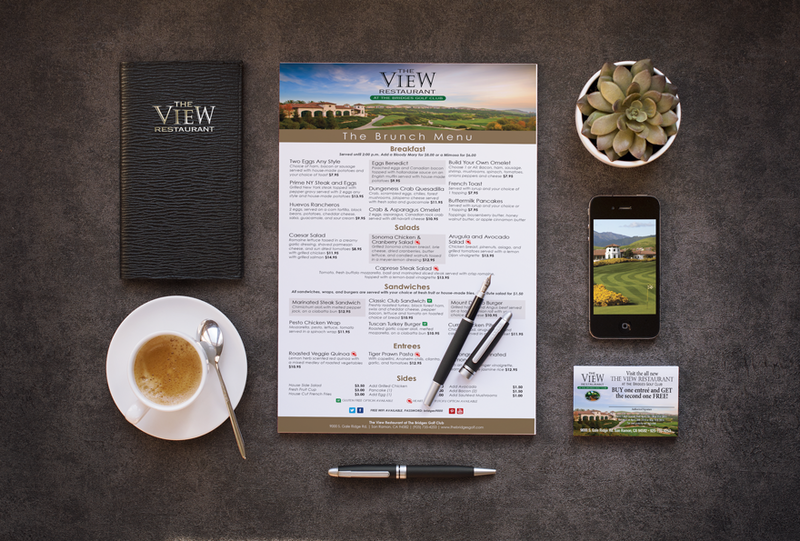 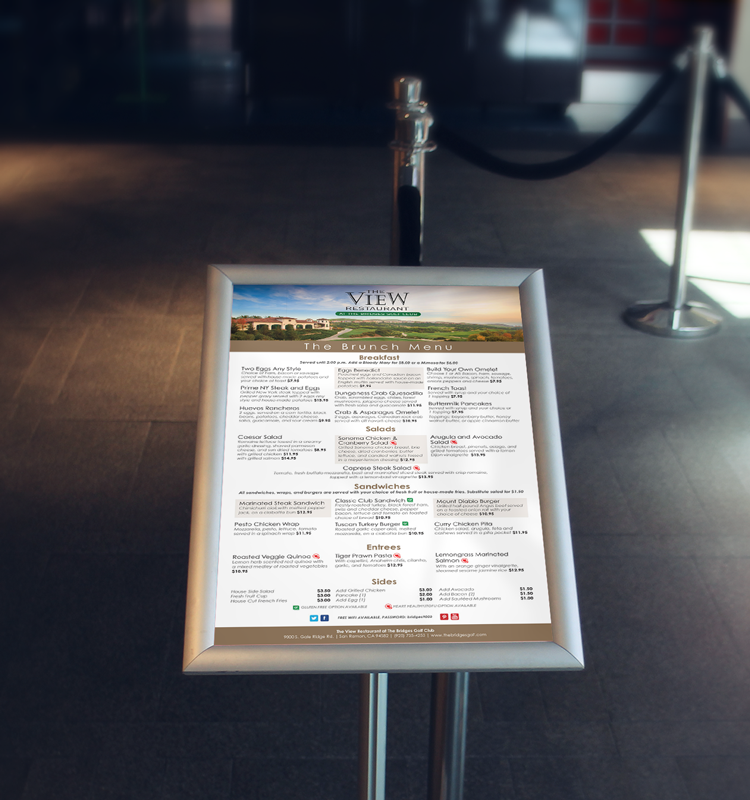 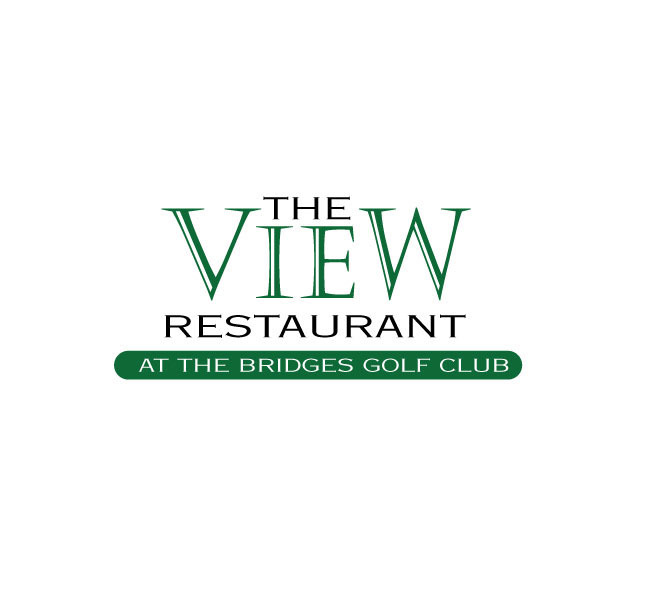 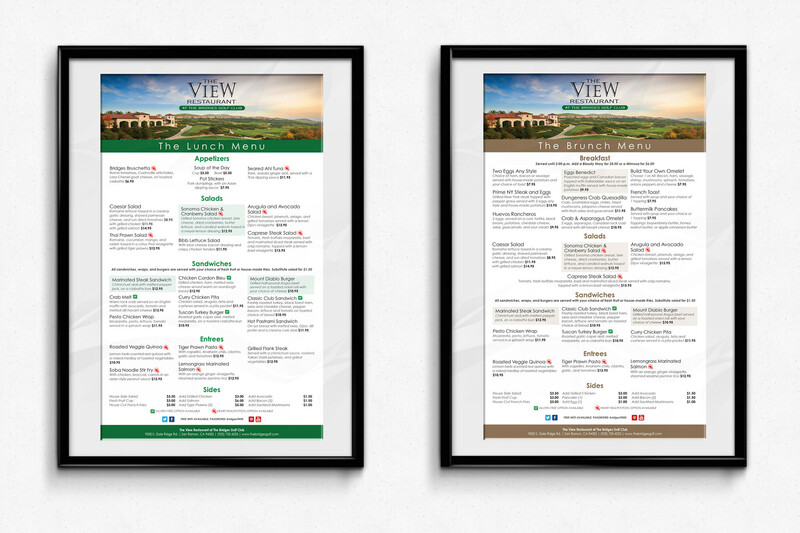 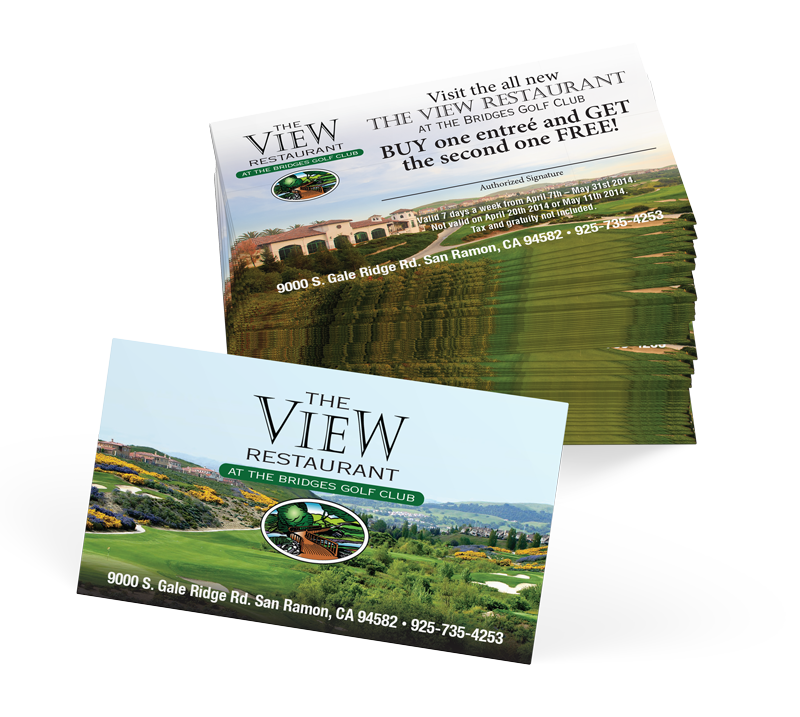 Design a logo for the The View Restaurant at The Bridges Golf Club in San Ramon, California. 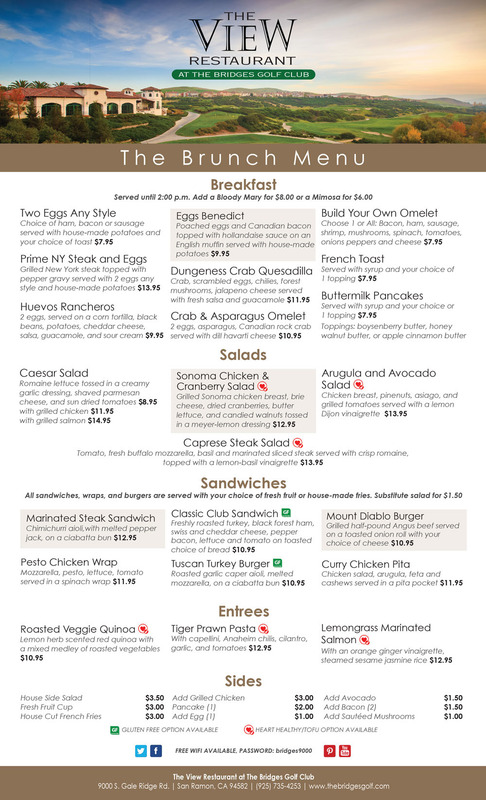 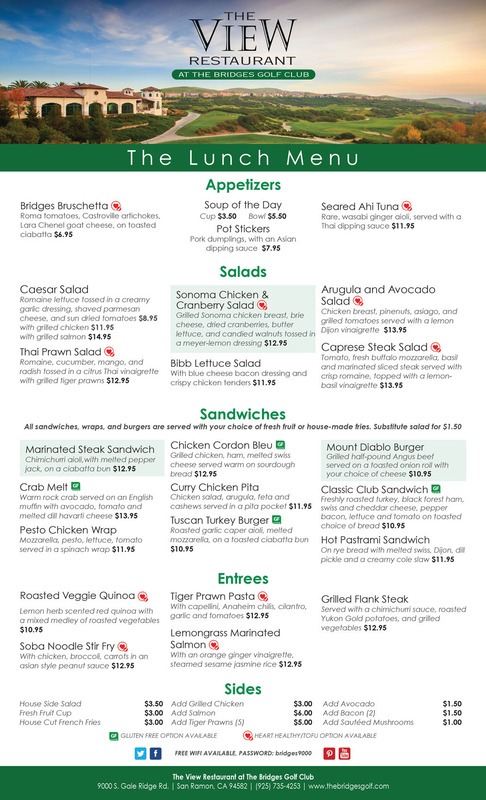 Then design the new menu and apply the brand to other items. 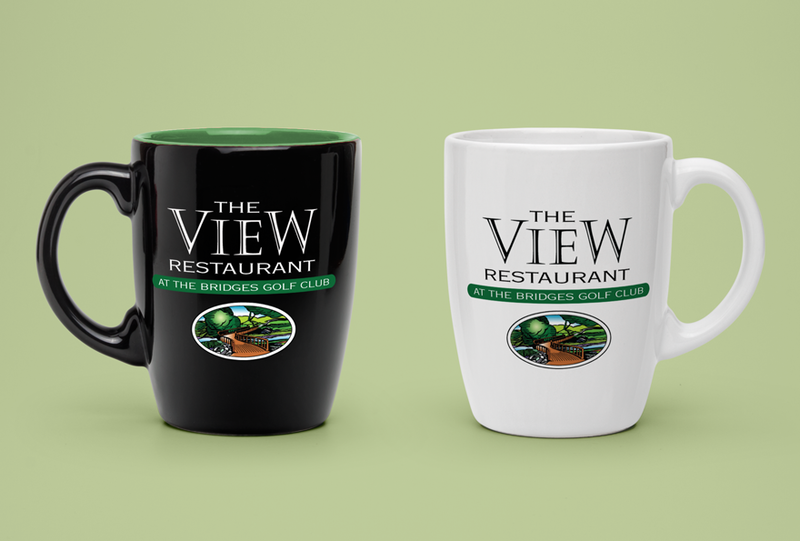 The design took into account an already established golf club logo and the brand needed to have a consistent look.